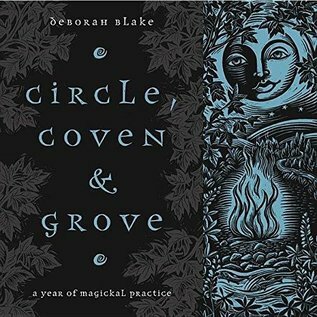 Green, Celtic, Alexandrian, Eclectic…every circle, coven, and grove of Witches is as unique as the magick they practice. No matter what kind of Witch you are, High Priestess Deborah Blake's guide to ritual has something for you. Part instruction manual, part personal journal, and part Book of Shadows, this all-in-one ritual handbook is an ideal tool for busy Witches, new covens, and new priestesses, priests, or coven leaders. Celebrate the Wheel of the Year with original group rituals that can be used as written, personalized to reflect your coven's unique style, or modified for solitary practitioners. Along with practical tips on ritual basics, there are beautifully written New Moon rituals, Full Moon rituals, and Sabbat celebrations for each month and season. Circle, Coven & Grove presents basic correspondences for magickal practice and coven work essentials such as circle etiquette. With seasonal spells, blessings, and rituals for celebrating holidays, increasing energy, giving thanks, healing, and more, this friendly book has everything you need.